The Romanov dynasty ruled Russia from the early 17th century until the Bolshevik revolution of 1917 so it seems only fair that they should be the theme of an online slot machine called Romanov Riches; it’s developed by Microgaming and it offers bonus wheels and base game respins. 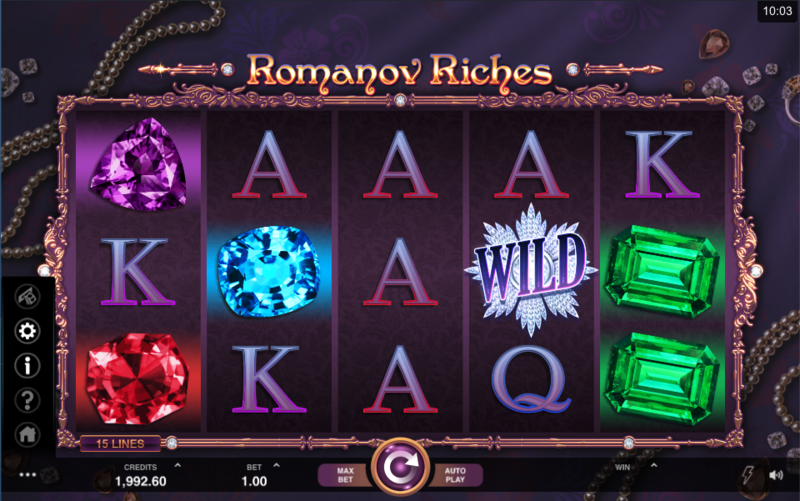 Romanov Riches is a five reel slot with three rows and fifteen fixed paylines; those reels spin inside an ornate golden frame which floats a against a backdrop displaying necklaces, diamonds and other bits of jewellery. 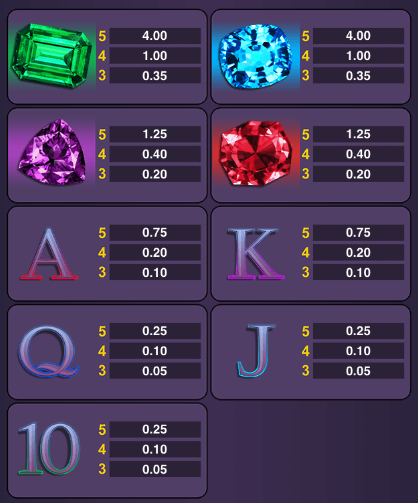 The four high value symbols are gems of various colours – green, blue, purple and red – while 10, J, Q, K and A make up the lower values. 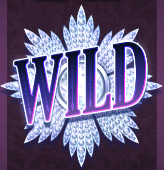 The wild is a large, snowflake-shaped ‘Wild’ which will substitute for all others to help form winning matches except for the golden bonus symbol. This is an interesting bonus and it’s triggered by landing between two to four matching stacks of symbol starting on reel one; after any payouts those reels will be locked and you’ll receive one free respin to try and add another matching stack to repeat the process. Those symbols involved transform into one big symbol. Once all reels are matching the feature ends. A Mystery Stack feature ensures that there are extra numbers of matching symbols on reels one and two to give you a bit of a head start. The is triggered by landing at least three full stacks of bonus symbols starting from reel one; three, four or five stacks will award spins on one, two or three bonus wheels respectively. The first and second spins will award a cash prize and the third wheel will apply a multiplier value to what you’ve won so far. Romanov Riches is a slot which gives us a chance to win a bit of cash and live just like the Russian royals for a while, at least until they were all executed or exiled; it’s a colourful, fast-moving game and the Respin feature hits more often than you might think. There’s an RTP of 96.02%.